My one student who I had been helping out a lot had lunch with us today. The lunch aides were out since it is the last week of school. As a result, the class and teachers all ate together in the classroom. So my buddy opens his lunch kit and I pull my lunch out of my bag. 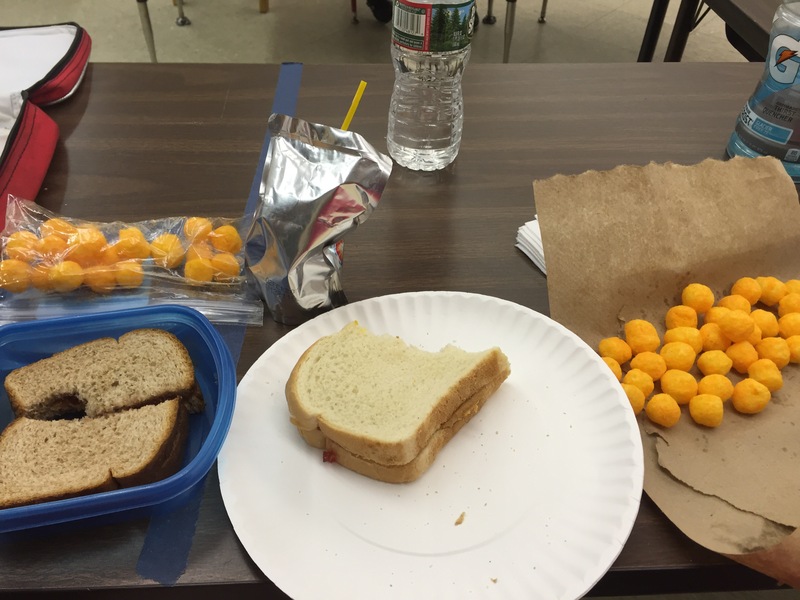 I pull out my peanut butter and jelly sandwich and I had some cheese balls to snack on the side. My student had Capri sun and the same exact lunch! 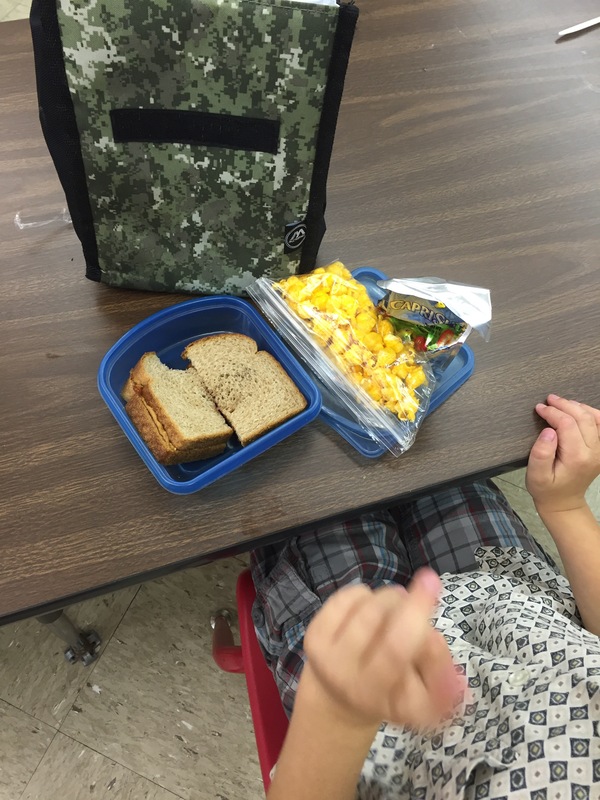 His twin brother had the same lunch and wanted me to take a picture of HIS lunch. I teased him,as he had cheese popcorn, not cheese balls like his brother and I did. I relented and took this shot.